The Ecliptic begins at Portmantle, a sort of island reserve off the coast of Istanbul. A refuge from the ritual of real life, it's a mysteriously secluded retreat for artists of all kinds; they go to Portmantle for space, solitude and absence from the world, to find the time and the inspiration to work on their projects. Some stay for weeks, some for years, some longer. The narrator, Knell (aka the artist Elspeth Conroy, aka Ellie) and an assortment of her friends and fellow long-timers, are awaiting the arrival of Fullerton- a mysterious new resident that at the age of 17, is the youngest ever visitor to the complex. Aloof but needy, mysterious and damaged, Knell tries to reach out to Fullerton. Her curiosity about the boy leads to clashes with the slick and ever so slightly creepy Provost, the custodian of Portmantle. The author takes us back trough Knells former life as Elspeth Conroy to throw some light on the links that draw her to Fullerton and the complicated relationship she has with her own memory and her hazy past. The book then switches to the narrative of Elspeth Conroy as a rising artist- her apprenticeship to artist Jim Culvers, her successful gallery shows and a disastrous transatlantic crossing. She becomes successful. Too successful. More successful than her work merits, by Elspeth's own conviction. We find out, piece by piece, who Knell was before she began her long residence at Portmantle, her obsessions, her integrity and her attempts to harness the inspiration when it comes along, despairing when it deserts her. She leads a life so lacking in clarity; that is what she is truly looking for. I loved the dual narrative of the book, and how each of the settings was so well crafted that the reader never favours one over the other. The story begins at the artists' retreat, which is fascinating in its purpose, its isolation and its residents. When it switches to uncovering Ellie's past, that narrative is equally absorbing. I never found myself impatient to return to the present, or restless, once at the retreat, to find answers in the back story. The two narratives wove together brilliantly, in ways that were both compelling and fascinating, culminating in a spectacular twist. The ending sends the reader reeling, wondering where memory becomes imagination and what role mental health plays in the creative process. In both the Turkish and New York/Scotland/London settings, the book doesn't assume creativity as an obvious and direct result of mental health issues, or vice versa, but it sort of wonders if the two things might possibly be linked somewhere, however tangibly, along the line. The Ecliptic is such a masterful book, with some of the most beautiful prose I've read this year. I loved the questions it asks about art and inspiration, and the curse of the creative- to be torn between a need to produce, and a need to produce with integrity and vision. It's almost like creativity is an elusive but powerful animal, capable of great violence and beauty. Ellie, in her life away from the reserve goes through fevered fits of painting, but retains this desperate need to do justice to an artistic vision seen only with the mind's eye- that difficulty of translating the imaginary into images is depicted staggeringly well. I kept re-reading some lines, because the images they conjured were just so striking. Ellie's furious workshop scenes and obsessive perfectionism reminded me of Alasdair Grey's Lanark, where (also Scottish) Duncan Thaw spends years refining and delicately re-working a religious mural. I think that book will stay lodged in my head forever. 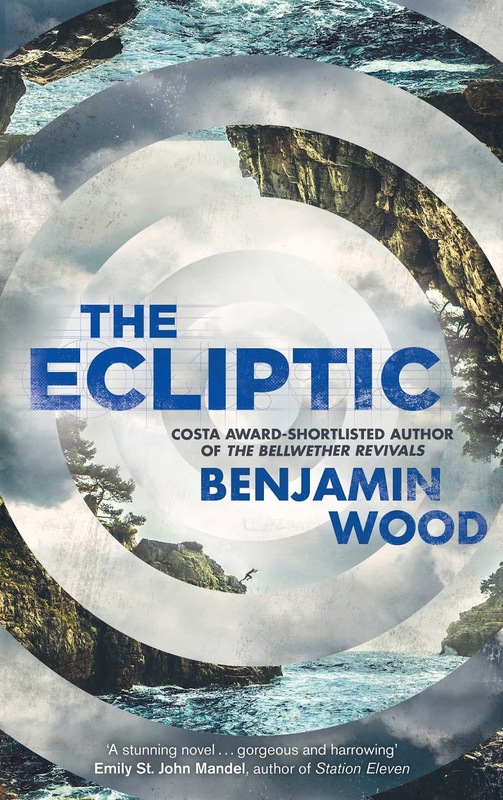 Reading The Ecliptic, I was struck by the notion that artists are slaves to their creativity with a clarity that I've not experienced before. The author asks what is creativity? Where does this drive to create come from? Is the artist a channel for a divine, spontaneous inspiration? Or is creativity fostered and honed? Does a creator search for inspiration or does it strike them? For me, everything about this novel was impressive- the detailed personalities of the supporting characters, the oddly old-fashioned voice of the narrator, the gripping but periodically baffling plot, the ambitious themes and beautiful, beautiful prose. I loved it. Singularly impressive and thoroughly enriching. I was captivated. I honestly, honestly cannot recommend this enough.